BGO Casino – Get Your $/€200 Match Deposit Today! Of all the online casinos out there, it goes without saying there are going to be a few that sound similar. That’s where it’s easy to get confused. Luckily, that’s not the case with BGO (which is pronounced, be-go). It’s an odd name but it’s also the platform’s way of blending its past as solely a bingo site with its multi-game platform. It also ensures BGO stands out from other online casinos. Back in 2012, BGO opened its virtual doors as an all-bingo platform along with just over 100 online casino games. The platform is operated by BGO Entertainment Ltd and is licensed and regulated by the UK Gambling Commission and the Alderney Gambling Control Commission. Rather than putting its reputation in the hands of just one software company, this online casino uses top-notch software from a number of reliable companies, including NetEnt, Playtech, WMS and IGT. That means tons of amazing games for you! As a non-downloadable casino, you can access all the games through Instant Play, through your web browser. While BGO mostly caters for a UK gamer-base, it does accept players from a handful of other countries. 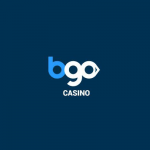 We love nothing more than bringing you thorough reviews, which is why the team at Minimum Deposit Casinos has put BGO to the test. With plenty of big software developers adorning this website, it would be odd if BGO didn’t offer an enticing welcome package. First of all, when you create a new player account, you can avail of 10 free spins without making a deposit. It’s a great way to get a quick feel for the site and decide whether or not to carry on playing. Once you’ve gone through your spins, you can avail of the welcome bonus. BGO’s welcome bonus is not fixed, and in fact changes regularly, so be sure to keep an eye on our updated bonuses and promotions to find out what’s on offer when you’re ready to sign up at this casino. However, there are usually a few common denominators to ensure that no matter what it is, the welcome bonus is attractive. At the time of our review, BGO was offering new players a 100% match deposit welcome bonus up to $/€200 with a 40x playthrough requirement. While a welcome bonus is always a great way to kick your gaming off, it’s always nice to keep an eye on a casino’s ongoing promotions, and at BGO there is plenty to choose from. There’s no denying that this online casino is more than willing to splash the cash to get you through the door, and it’s pretty much the same with the promotions. In fact, you can look forward to choosing from a rather decent selection of lucrative bonuses and pick up plenty of free spins along the way. There are also a few unique campaigns with big rewards the often crop up. As we mentioned at the beginning of this review, BGO online casino doesn’t cater for too many countries, and this is most evident in its limited number of payment methods. You can use Skrill, Neteller, Maestro, Mastercard and Visa. If you play at the casino using your mobile device, you also have the option of Boku where you can make payments with your mobile number. PayPal is also available for UK players. At BGO, the minimum deposit is just $/€10 while the minimum withdrawal is just $/€20. E-wallet withdrawals take up to 24 hours to process with credit, debit cards and bank transfers taking 3 to 5 business days. If you’re keen to try out BGO, more than 700 games are waiting for you. All you have to do is create an account, grab your free spins or make a deposit and scroll down to the massive list of casino games. Choose whatever piques your interest and play to earn real money cash rewards. If you’re a big fan of spinning the reels, you’re going to love the variety of slots on offer at BGO Casino. There’s everything from traditional 3-reel fruit machines to branded and theme slots and everything in between. There are more than 600 slots on offer at this online casino from the very best software providers in the industry, with more titles added on a regular basis. So, don’t miss out on an enthralling opportunity to play some of the most popular slots around, such as Coins of Egypt, Cleopatra, Starburst, Rainbow Riches, Jumanji and Pumpkin Bonanza to name just a few. It’s not uncommon to hit a progressive jackpot at BGO Online Casino. The slots on this platform provide real money gamers with the chance to make the big time by betting small amounts, with decent chances of hitting a mega jackpot. To date, BGO has made 5 millionaires through its progressive jackpots and continues to strive to change its players lives. There are loads of progressive slot titles to choose from, too, including famed games like Jackpot Giant, Mega Jackpot Series, Mega Fortune, Age of the Gods, DC Comic Series and more. We like to think that nothing really beats the entertaining and engaging experience of live dealer games and fortunately, BGO offers just that. Enhance your gaming experience at this online casino from the comfort of your desktop or mobile device. There’s a pretty decent collection of live dealer games to choose from, too, including Casino Hold’em, blackjack, roulette, baccarat and even Hi-Lo. BGO Casino often has new live games in the pipeline and it’s evident that the casino games list on this platform get bigger and better nearly every day. The live and ultra-professional dealers set up the live casino tables for you, ensuring that players really do enjoy an immersive and interactive time at BGO Online Casino. We can’t possibly do a review of BGO and not talk about bingo – it is where it all started for this platform. There are ample online bingo rooms here, including 75 ball rooms and 90 ball rooms. The bingo rooms are categorised under the headings Pick N’ Mix, BGO World and VIP Bingo Rooms. Every day, at specific times, you can also take part in Chat Games in the bingo rooms. There are even free bingo cash games that are readily available. The chat game hosts make things fun and there’s the opportunity to win some serious cash, free bingo games and more. All you have to do to take part in the Chat Games is buy at least 3 tickets in Fairy Delight or 6 tickets in Golden Galaxy to earn chat game credits. There’s the chance to win a whole bunch of credits in a day, and credits aren’t capped. Gaming on the go has become the norm in today’s times of convenience and accessibility, and BGO fully acknowledges this. The quickest way to play at BGO on the move is to open up your smartphone or tablet’s browser, enter the BGO URL and log in to your player account. There are plenty of games you can play for free and for real money from your mobile device. Alternatively, you can download BGO Casino’s native app for Android or iOS. Plenty of the amazing slots at this site have been properly optimised for mobile play, which means no matter the size of your screen, you’ll never compromise on quality and speed. From your mobile device you can also take advantage of bonuses and promotions, reach customer support and do your banking. BGO Casino puts your safety and security first. Whenever you send the casino personal or financial information for verification, registration or deposits and withdrawals, your details are encrypted with the help of top of the range SSL technology. This safeguards your information, making it almost impossible for anyone to get their hands on. While we couldn’t find any third-party audit seal on the BGO website, there’s no doubt that gaming is random and fair at this casino, especially considering that it holds two licenses – the UK Gambling Commission and Alderney Gambling Control Commission. As a registered player, you can access the customer support team through the live chat function. It’s the quickest and easiest way to get in touch around the clock. There’s also the option to fill in the email contact form. Should you have any concerns, questions or feedback, simply click on the Help button on the casino’s website and fill out the form. This is a little slower than live chat, but you should receive a reply within 24 – 48 hours. With its exciting bonuses and promotions and array of incredible games, BGO casino does a good job at entertaining players. This is a trusted brand that started out just as a bingo platform and has grown into a full-on, immersive and highly lucrative online casino. While there aren’t many payment options, all the regular choices are there, and customer support is always on hand should you need them. The live dealer games and assortment of bingo options are impressive, while slots are available from some of the best software developers in the industry. All in all, BGO online casino is worth a try. If you’ve not signed up yet, be sure to check out the latest free spins and bonuses to make sure you get the most bang for your buck!